Limited competition for the development of a small conferencing facility on the historic wine farm Vergelegen. The design utilises historic agricultural outbuildings. 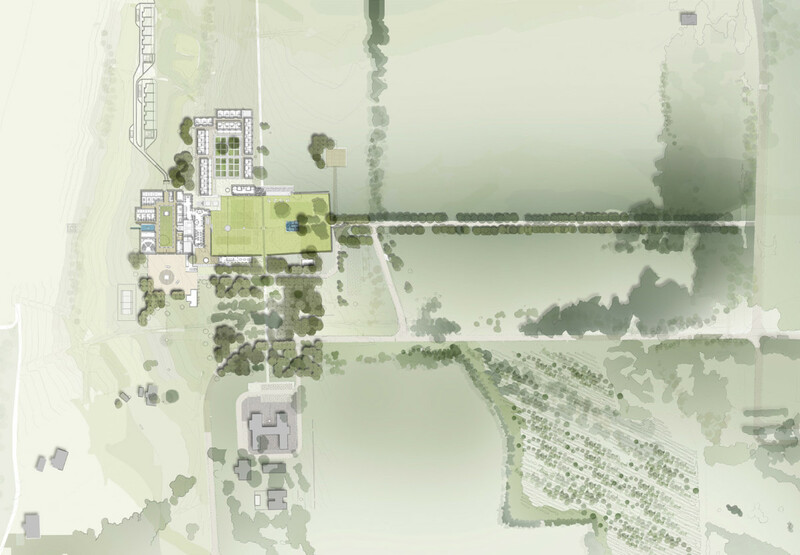 The layout is informed by a minimal framework that reintroduces a historic approach framed by oak trees and a werf.